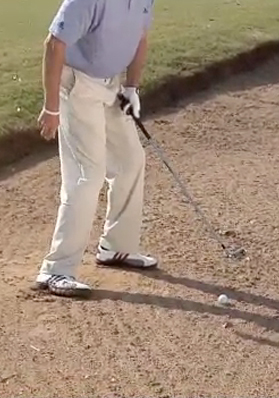 Ball position and club selection should be the same. 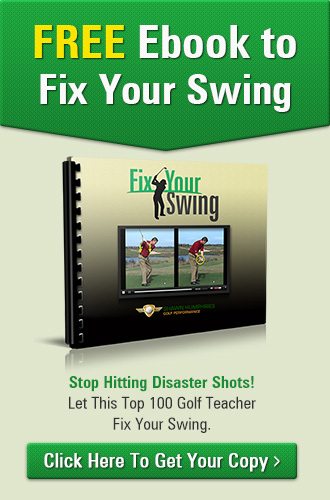 This creates a bridge to brace your back foot and keep from rotating over or out of the shot on the backswing. 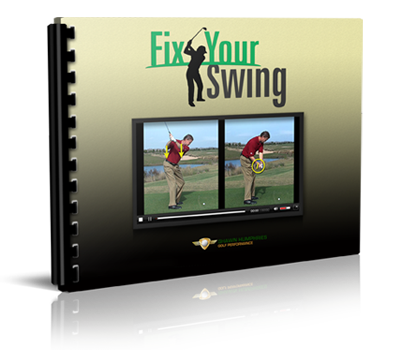 With your back foot braced and your front foot dug in slightly, you’re now ready to create the angle and swing through. 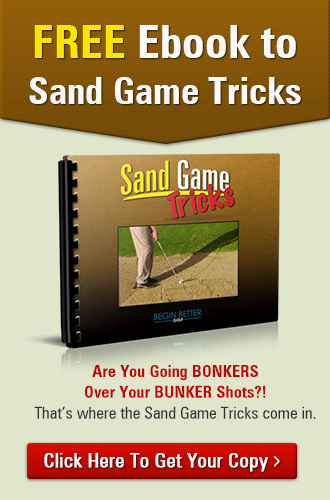 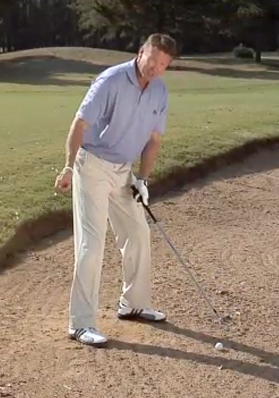 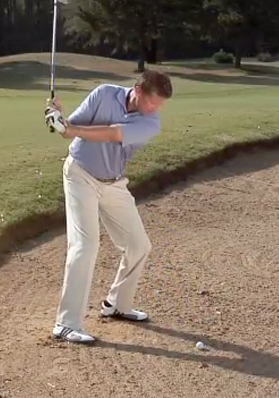 Hi Shawn, I’m wondering if you also recommend creating a “brace” with the right (back) foot when executing a normal bunker shot around the green?